The month of Kislev is well known and loved, mainly for the holiday Hannuka which symbolizes the essence of the month and our ability to make miracles, to bring light to “dark” places and to step out of complete darkness into great light. What are the powers controlling this month which allow us to replace the darkness with the light? As stated in previous articles, Sefer Yetsira (The Book of Formation) – attributed to Abraham the Patriarch – tells us that the 22 Hebrew letters of the alphabet are the building blocks of the Universe. These letters represent the spiritual frequencies which created our Universe. Sefer Yetsira teaches us that these 22 frequencies, represented by the 22 Hebrew letters, are the tools used for transferring spiritual abundance. According to Kabbalah and Sefer Yetsira each month is ruled by two Hebrew letters. One letter rules the planet that dominates the sign. The other letter rules the astrological sign of the month. Kislev’s planet is Jupiter and is ruled by the letter ג (Gimel). Its astrological sign is Sagittarius, which is ruled by the letter ס (Sameh). So what is the significance of these particular letters? The letter Gimel represents the power that rules planet Jupiter. Gimel symbolizes abundance, prosperity of all kinds, and good luck. It represents the power and strength of Sagittarius because it is a letter of abundance. We learn this quality from the letter’s structure: Gimel is made by the letter Vav (ו) and the letter Yod (י) which is connected to it at its bottom. The letter Vav symbolizes the spiritual channel that connects us to the upper worlds where abundance then flows into our world. The letter Yod represents this abundance which is being shared with those in need. It is important to mention that the name of the Hebrew zodiac sign of Kislev is Keshet (Rainbow) and not Kashat (The Archer), in remembrance of the rainbow that appeared after the Great Flood which took place the month before – the month of Heshvan. The question is why did the rainbow appear specifically on Kislev? As we know, the year is divided into four seasons and each season represents a different element. The autumn, a combination of Tishrei (Libra), Heshvan (Scorpion) and Kislev (Sagittarius), belongs to the Air element. The Air element represents a state of balance, thought and logic: in Kabbalistic language, “Central Column”. Sagittarians love to think a lot, to philosophize and to expose themselves to new ideas. Sagittarius it is known as a Fire sign, however, the Air element (of the autumn) influences it strongly. As Sagittarius is the third month of the autumn, and the third season, the power of the Central Column (receiving in order to give) is very strong. 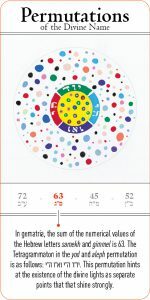 The Zohar also teaches us that the rainbow symbolizes the power of The Central Column, of balance. The variety of the rainbow’s colors symbolizes the presence of all three powers – Right Column, Left Column and Central Column. The rainbow appears, so says the Zohar, when the human being destroys its environment. Its appearance symbolizes the covenant, the promise, between God and humanity, and the God’s injection of the energy of balance to the universe which enables its existence. Also, the numerical value of the letter Gimel is three – for the three columns – right, left and central – and teaches us the spiritual power of balance that the Sagittarius has, thanks to their inner conviction that everything will turn out to be good. That is why Sagittarians are known as good people who believe in good. These are people of peace, justice and humility. They are also very creative, active, very lively and forever young. All of this thanks to the combination of the Air and Fire elements. As mentioned before, Sagittarius is also controlled by the letter Samekh which comes after the letter Nun (נ), symbolizing downfall. Samekh has the roll of being the supporter, the assistant to the faller (סומך נופלים) – hugging and cheering anyone who has fallen. As humans we sometimes make mistakes, we hurt others or hurt ourselves. In order to deal with these incidents, and to understand that although we have fallen, things are not so bad; the powers within the letter Samekh are there to help us recover. However, the problem is that the comforting place this letter provides can be very addictive. If we have fallen into a place that is not so bad, why would we try to get out of it? This is also one of the characters of the Sagittarius. Although they have good luck they can find themselves trapped in situations they don’t know how to get out of. They do not know how to say a situation is not good for them and to put up the necessary boundaries. The goodness of Sagittarians makes it difficult for them to put up a fight even when it is necessary. The combination of Air and Fire in the Sagittarius causes them to look for constant challenges and to be in constant motion. They like to be very creative and do not have tolerance for routines. Their tendency to rely on their good luck appears irresponsible to those around them. As they are generally very good and ethical people, when they do act improperly they develop strong feelings of guilt which may lead to disease in the intestines and the liver. Entering the month of Kislev we all become Sagittarians and everything seems great. However, we must be cautious and pay attention not to be drawn into this sensation which can put us to sleep (since only when things DO NOT go well do we try to work on changing). It is not by chance that Hanukkah is celebrated in the month of Kislev. At the time of the second temple there was an era of prosperity, although the Greeks started to take our possessions. Each time we told ourselves that things weren’t so bad and that everything was fine, until we realized that we could not survive anymore and had to fight. That is the miracle of Hanukkah. Miracle in Hebrew is Ness but could also be read as Nass (to flee, run away) which is the true meaning of a miracle – our ability to flee from our nature and to say “no more”. This is the power to make the decision to act, otherwise all of the good we have cannot not be kept. That is why Kislev is a great time for us to start to believe in good and that everything will be ok. We are here in order to recreate ourselves and to make miracles! 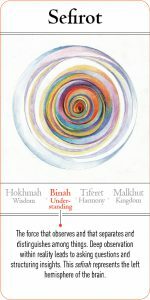 To listen to the lecture on Kislev and other months, enter the Live Kabbalah University.